Goalbet is an advocate of the old proverb “slow and steady, wins the race”. Having operated for eight years now, they’ve chosen to make sure steps forward, instead of hasty leaps. They’re trying to be as good as everyone in almost every aspect of the betting industry. This means that they’re a reliable choice for anyone looking for a sole online bookmaker to cover most of his betting needs. 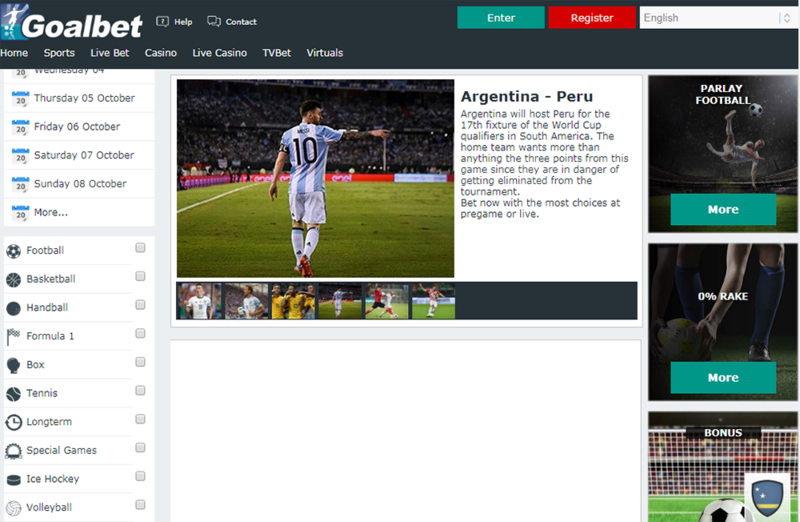 Their payout in football (soccer) matches is one of the highest offered, while their website is user-friendly and operates in about 25 different languages. They have to overcome the country restrictions, which don’t allow them to go as global as they’d want and introduce payment methods in other currencies besides Euros.